In the mighty jungle, we call out to you to come witness a beautiful secret. Maharashtra's charm lies in its forts and we are taking to you one of these on September 16th. Where is it? We would like to keep that a secret to maintain its true beauty. But, we can definitely tell you that the fort boats of enchanting views, a scenic lake and even, secret waterfalls. 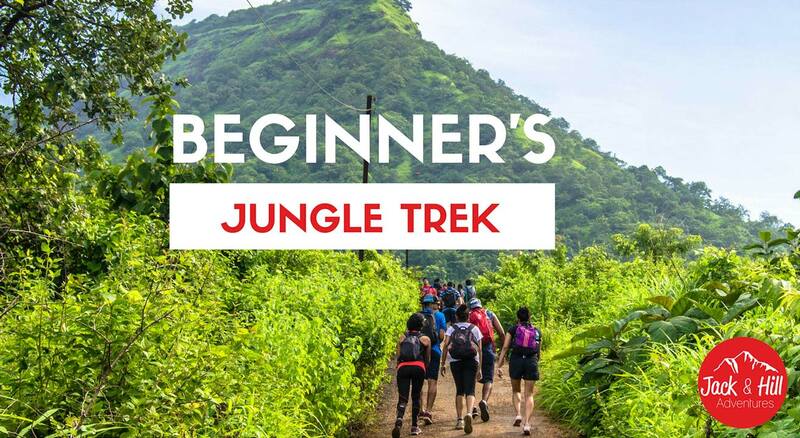 If you're someone who has never trekked before and love exploring forests, then this one is for you! According to us, this is the best way to witness Maharashtra's charm in the rains. It is a small hill fort in the Raigad district of Maharashtra and lies on the Sahyadri Mountain Range near Karjat range. After reaching the top, you will be blessed with panoramic views of the Borghat, the fort’s famous lake, Ulhas river, and Morbe dam. Other peaks of Matheran hill station such as Irshalgad, Rajmachi, Dhak Fort Bhivgad and Prabalgad can also be seen from the summit. From the station start walking towards the base village and have breakfast enroute. Post lunch, we hike down towards the base village for refreshments. After refreshments, we embark on our journey back home just the way we arrived. The difficulty level of this trek is MODERATE, however more inclined towards Endurance. Trek difficulty varies from person to person. This trek runs through a trail big enough for 3 people to walk together for most part. There are a few uphill patches that are narrow but nothing difficult. Since it's a long duration trek there will be sufficient breaks to help you stay hydrated. Jeans, saree is not recommended. Ensure that you are comfortable in what you choose to wear and that the material does not restrict your movement while hiking or climbing. Lunch: Participants are required to carry a packed meal which can be consumed at the summit. A trek in the forest requires for one to stay positive and open minded at all times regardless of the situation. Mind you, this is not a picnic but a trek in the mountains. Mother nature could choose for the weather and environment to be tough or easy on us. However it is important for us to stay grounded and keep our heads over our shoulders, to not panic and trust the decision of the trek leaders. 100% Cancellation Fee will apply if your booking is cancelled within 72 hrs of the event date.